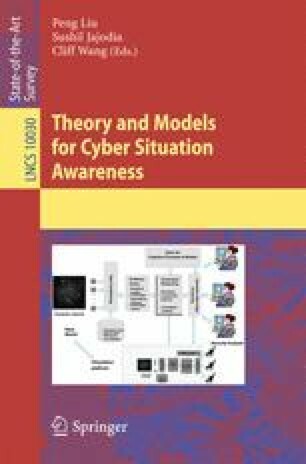 In this chapter, we provide an overview of Cyber Situational Awareness, an emerging research area in the broad field of cyber security, and discuss, at least at a high level, how to gain Cyber Situation Awareness. Our discussion focuses on answering the following questions: What is Cyber Situation Awareness? Why is research needed? What are the current research objectives and inspiring scientific principles? Why should one take a multidisciplinary approach? How could one take an end-to-end holistic approach? What are the future research directions? We would like to thank the Army Research Office (ARO) for sponsoring this MURI project. This work was supported by ARO award W911NF-09-1-0525.